Today almost everyone has the smartphone and the things which make these devices cooler are the applications that are made for them, and users love to try out lots of apps daily on their devices. As we know in Android, there are lots of emulators that allow Android apps to play on your PC. Similarly, there are iOS emulators which allow you to use your iOS apps in it for free. 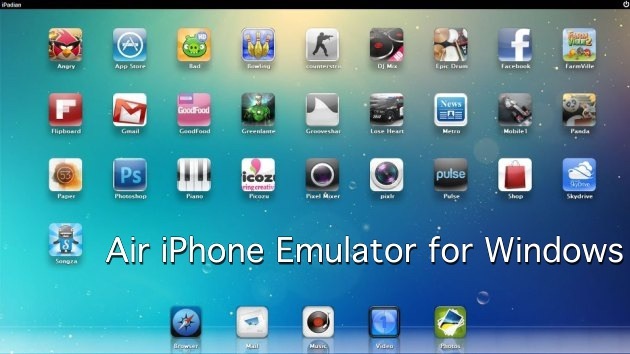 These emulators are just a platform to run iOS supported apps on your Windows PC. So have a look at complete guide discussed below to proceed. Here I have selected some of the best emulators that are quite faster and efficient to run iOS apps with great ease in your PC. You just need to install them on your PC, and then you can have fun with your favorite iOS app on them. This is one the best emulator for your Windows PC that allows you to run your iOS apps on your PC with great processing speed. Also, this is very well known and has positive user ratings and also good download rates. So must give a try to this cool tool to run your ios application in your Windows PC. This is one of my favorite emulators, because of its simplicity and user-friendly interface. This is an Adobe AIR application that reproduces the iPhone’s GUI in your PC. You just need the AIR framework for this application to work. AIR iPhone’s sole purpose is to replicate the graphical user interface of the mobile phone. There are many uses that I can think of this application. This is an another cool tool that is based on cross platform idea to run iOS apps on Windows PC too. MobiOne Studio is a Windows-based tool for creating cross-platform mobile apps for the iOS and Android platforms. So must give a try to this cool app and you can use your favorite iOS app on your PC easily. MobiOne cross-platform apps are built on the popular HTML5 hybrid-native app model using the open-source Cordova/PhoneGap framework. 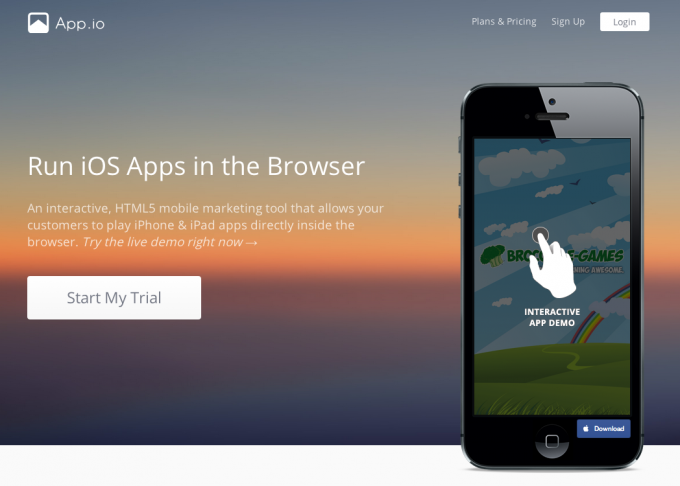 App.io is one of the simple apps that is very easy to navigate. You don’t need any custom code. You simply need to sync your iOS app pack with the App.io and then you can easily stream your apps via the App.io to any of your cloud storage device from Windows PC, Mac, Tablet, to Android. Appetize is another great online iOS emulator which works almost same as the offline emulator. The great part is it’s a free emulator that will support Adobe AIR framework. Once, you launched this software; you need to click on Upload option on the homepage to start emulating iOS apps in your Windows. TestFlight is now owned by Apple and is the primary way to beta test your Xamarin.iOS apps. In terms of developer support, I will never hesitate to say that Xamarin Testflight is best iOS emulator for PC to give a try. 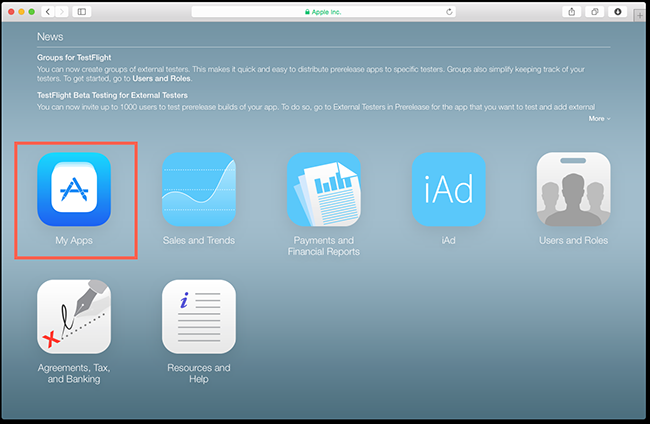 Only apps that are iOS 8.0 or above can be tested through TestFlight. 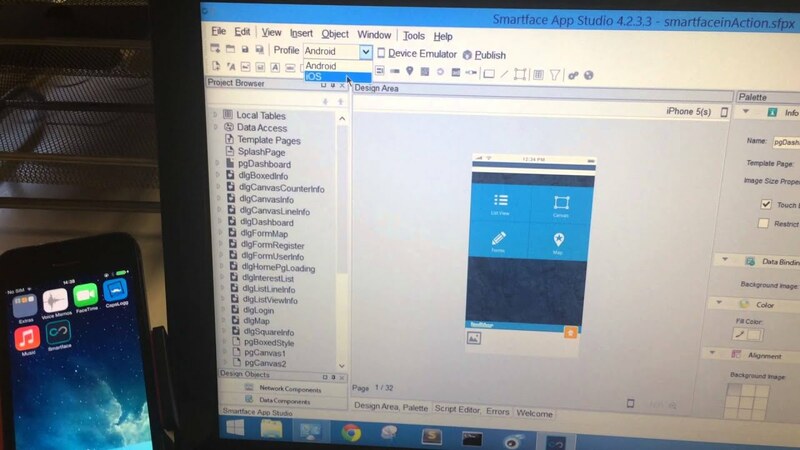 Well, Smartface is an app developing software, and it also lets you emulate iOS for free. You will get to use the basic function after emulating iOS and it also enables you to develop unlimited apps at free of cost. The main purpose of Smartface is to test iOS applications in different iOS environments. 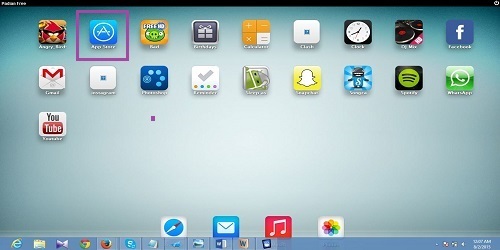 iPhone stimulator is for those who needs to create a virtual iPhone on their desktop in minutes. You will get to see the real iPhone on your desktop. However, if you need to test any app then you will be disappointed because this doesn’t have access to App Store. You can access default apps like notepad, clock, calculator etc. So above are the 8 Best iOS Emulator To Run iOS Apps On PC. You can try all the emulators in your PC one by one and then select one that you feel more convenient and user-friendly to use and to run your favorite iOS app on your PC. Hope you like our work, do share with others too. Leave a comment below if you have any related queries with this.